Content marketing tools are a must-have in every web marketer’s repertoire. They can simplify the content creation process and support your content strategy. And some of the most significant are also free — making them vital as well as helpful. This list is not comprehensive by any means. I consulted ultimate guides to confirm that the tools I’ve found most useful in my everyday business are also recognized by content marketing experts. These are five that I use myself and find valuable in everyday business. I only recommend products I have positive personal experiences with and would suggest to a friend. One 2016 content marketing industry survey found that 75% of content marketers were increasing their investment in marketing technology. This has resulted in a widening field of tools to meet the growing demand. Resources are available to help you create, distribute, and measure the effectiveness of your content. While those highlighted here have been around a while, recent upgrades have added feature sets to keep them competitive in the ever-growing marketplace. These apps, plugins, and platforms were designed to make your job as a content creator easier. Some products help you design beautiful marketing materials. Others automatically connect you with your audience. Use one to keep your editorial calendar and workflows organized. These must-have tools are perfect for polishing your content or building your authority. All are easily available and absolutely free to use. While added features may be offered at a premium level for a fee, you’ll probably find that the free versions are perfectly suited to your current needs. And it’s a relief to know that these tools can grow with you as your business matures. Having these resources at your disposal will enhance your content creation efforts and support your content marketing goals. Let’s take a look at what each one can offer you. Trello is an online project management tool that allows you to organize any task using visual boards, cards, and lists, which are unlimited in the free version. It’s flexible and can be used for any number of projects. The drag-and-drop interface makes it easy to create and manage notes, tasks, and ideas. Add labels, deadlines, checklists, and attachments to cards, making them a one-stop location for information storage. Collaborate with as many others as required by the project, and everyone sees the same information instantly because it works in real time. Anyone you invite can also open a free account to gain access. If you have a team and need even more powerful features, Business Class is $9.99 per month per user. Canva is an easy-to-use graphic-design website that uses a drag-and-drop interface to create layouts and documents for print and online applications. Design anything you need with the countless templates, photos, illustrations, fonts, and icons provided. Other free resources include design courses, font pairing suggestions, a photo editor and a color palette generator. The free version is perfect for general use, but Canva for Work offers extra functionality at $9.95 per month after a free 30-day trial. Collaboration, animations, transparent backgrounds and more make the upgrade worth the price if you need these features. MailChimp has grown from its simple email application roots into a full-fledged marketing platform. You can now create landing pages, postcards, signup forms, Google remarketing ads and Facebook ads, in addition to their email resources. 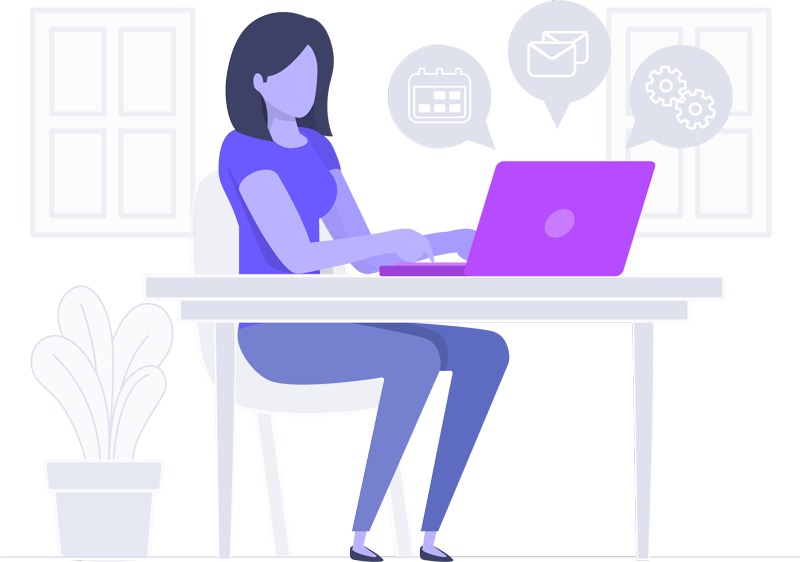 Automations help you schedule email messages and marketing campaigns, and MailChimp also works with over 300 other tools and apps to simplify your workflows. Although you can still start for free, you’ll be required to move up or move on after you reach 2,000 subscribers. At that point, evaluate whether to continue for a fee or investigate other providers. If it’s still working for you, you may decide to continue. Try these FREE content marketing tools. Grammarly is any content creator’s best friend. In addition to checking your spelling and grammar, this free writing app will also detect plagiarism by checking against its huge database. The free browser extension works with almost every website to improve all your posts, documents, and messages. If you work with a team, the Premium Plan offers advanced features for $29.95 per month, which can be billed quarterly or annually. But if you’re a solo entrepreneur like me, you should find the free plan robust enough to meet all your needs. Quora may seem out of place on a list of content marketing tools, but take a closer look at this free question-and-answer site. You’ll find a wealth of information as well as potential to generate traffic to your own business. Search for questions related to your niche to get up-to-date information and different perspectives. Use problems your ideal customers need solving as the basis for new content. Actually answering questions, on the other hand, can help identify you as an authority to others in your field, and let your target market know about your services and products. This is one lead magnet that’s definitely worth giving up your email address for. Opt-in Monster’s list of 700 Power Words will spice up your copy with persuasive language your readers will be unable to resist. And while their future posts are sure to offer even more value, you’re free to unsubscribe at any time. Although these tools do different functions, they all deserve a place in your bag of tricks. Starting with a free trial makes the decision simpler since you can upgrade your account as your business grows. And if for some reason you’re not satisfied, the free trial was still worth what you paid to test the product! If you’re not using one or more of these already, give them a try to enhance your website’s performance with ease. You’ll be glad you did! Read more about Essential Word Press Plugins and download the infographic here.